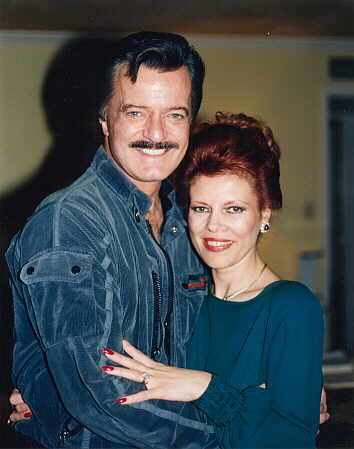 ROBERT GOULET’s Grammy, Tony and an Emmy winner, was a legendary artist of striking power, whose vocal talents illuminated every medium of the entertainment world. He is considered one of the greatest baritones of our time and was undoubtedly one of the most prominent musical stars to grace the stages worldwide for over six decades. His illustrious career spun for over six decades and he is considered one of the greatest baritones of our times. Equally adept at picking up nuances of a Broadway musical, caressing the lyric of a romantic ballad or amplifying the excitement of a swinging melody has enriched the lives of music-lovers worldwide. He took Broadway by storm and won the Theatre World Award with his debut as Sir Lancelot in the original Camelot (1960) also starring Richard Burton and Julie Andrews. His Broadway debut in "Camelot" launched an award-winning stage, screen and recording career and he achieved instant recognition as one of American theaters’ most charismatic and talented musical stars. After his Broadway debut Mr. Goulet launched on a remarkable journey. A stage veteran his many credits include: Sunshine Town, Thunder Rock, The Optimist, Dreamgirl, Carousel, Finian’s Rainbow, Gentlemen Prefer Blondes, The Pajama Game, Beggars Opera, Bells Are Ringing, Meet Me in St. Louis, The Happy Time, I Do, I Do, On A Clear Day, Kiss Me Kate, The Fantasticks, South Pacific, Camelot (as King Arthur), Moon Over Buffalo, and Man Of La Mancha, La Cage aux Folles”. His numerous television appearances include his own series Blue Light, his specials An Hour with Robert Goulet, The Robert Goulet Special, The Bob Goulet Special-Staring Robert Goulet as well as The Name Of the Game, Police Story, Cannon, Dream Merchants, Fantasy Island, Make My Day, In the Heat Of The Night, The Simpson’s (Radio Mercury Gold Award - Humor), Based On An Untrue Story, Burke’s Law, Get Smart, ESPN College Basketball Campaigns, Disney’s Recess, George and Leo, Just Shoot Me, Two Guys And A Girl, Nikki and My Favorite Broadway, Las Vegas, King Of Queens, Emerald Nuts 2007 Super Bowl commercial, My Music PBS. He has recorded over 60 best-selling albums, and his film credits range from the animated feature film Gay Purr-ee co-starring the voice of Judy Garland to Honeymoon Hotel, I'd Rather Be Rich, I Deal In Danger, Underground, Atlantic City, Beetlejuice, Scrooged, Naked Gun 2½, Mr. Wrong, Toy Story II, Disney’s animated feature Recess, G-Men From Hell, The Last Producer with Burt Reynolds and Everything Is Illuminated (voice). 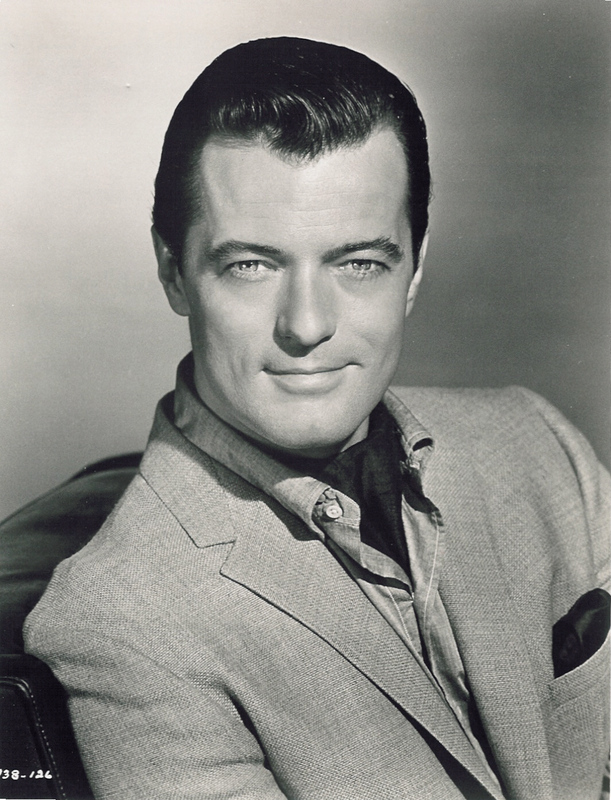 ROBERT GOULET took Broadway by storm and won the Theatre World Award with his debut as Sir Lancelot in the original Camelot (1960) also starring Richard Burton and Julie Andrews. He achieved instant recognition as one of the American Theater’s most charismatic and talented musical stars. His Broadway debut in "Camelot" launched an award-winning stage, screen and recording career and took him on a remarkable journey. A Grammy, Tony and an Emmy winner, he was a legendary artist of striking power, whose vocal talents illuminated every medium of the entertainment world. He is considered one of the greatest baritones of our time and was undoubtedly one of the most prominent musical stars to grace the stages worldwide for over six decades. His rich baritone voice, equally adept at picking up nuances of a Broadway musical, caressing the lyric of a romantic ballad, or amplifying the excitement of a swinging melody, has enriched the lives of music-lovers worldwide. Born Robert Gerard Goulet, in Lawrence, Massachusetts, he was the only son of French- Canadian parents, Joseph and Jeannette Goulet. He began singing when he was five years old at family gatherings, and at one such gathering young Robert’s aunts and uncles blacked out his face with a burnt cork, put on his mother’s white gloves and he entertained everyone with an Al Jolson impersonation. The applause terrified him, and for many years left him with a fear of performing. At age eleven, returning home from school, two nuns stopped him and said, "You are going to sing Saturday night at the church function." Young Robert looked at them and said, "No, I am not," and started to leave. One nun grabbed him by the hair and leading him away said, "Yes, you are." That Saturday night he sang in their church hall and after hearing him sing "Lead Kindly Light" his father came down from the balcony with a tear in his eye, hugged him and said, "I'm proud of you, my son," instilling in him a glowing feeling, thrilled that he had pleased his father. A scant few weeks later, Robert’s father called his son to his deathbed and said, "God gave you a voice, you must sing." He died that night, but his father's last words carried weight that left lasting imprints upon young Robert and he knew, then, that the stage was to be his life. After his father’s death, at age thirteen Jeanette Goulet moved to Canada with young Robert and his sister Claire, where he spent his most formative years. His first professional appearance was at age 16 with the Edmonton Symphony Orchestra. Following a two-year stint as a radio announcer, he was awarded a singing scholarship to the Royal Conservatory of Music, University of Toronto, Canada. In 1993 they awarded him with their highest honor, a ‘Fellowship’, one of his most cherished awards. He received a Star on Hollywood Walk of Fame in 1975 and in 2006 thirty one years later he was privileged to receive The Canadian Walk of Fame Star. He was a popular young star in Canada in the 1950s, and appeared in scores of theatrical, radio and television productions -- culminating as host of the weekly network variety show for CBC-TV, "General Electric's Showtime" but Goulet’s Broadway bow launched him internationally. It paved the way for a stunning array of over 60 best-selling albums, international concert appearances, motion pictures, numerous television specials, variety and episodic television guest appearances. Ed Sullivan was one of his most enthusiastic fans, and invited “The American Baritone from Canada” to appear seventeen times on his weekly variety show. His fear of live audiences was noticed by Lord Laurence Olivier during a performance of Camelot. Speaking to him backstage he said "We can't see enough of your eyes. Can you wiggle your ears?" Goulet answered, "Yes I can." Olivier then said "try it." At the next matinee he tried it (only because Olivier asked him to), and found that the audience was not made up of ogres or green-eyed monsters. A theater veteran, his many stage credits include: Little Women, Sunshine Town, Thunder Rock, The Optimist, Dream Girl, Carousel, Finian’s Rainbow, Gentlemen Prefer Blondes, The Pajama Game, Beggars Opera, Bells Are Ringing, Meet Me in St. Louis, The Happy Time (Tony Award), I Do, I Do, On A Clear Day, Kiss Me Kate, The Fantasticks, South Pacific (1987-89), Camelot (as Lancelot 1960, as King Arthur 1992-94 & 1998), Moon Over Buffalo (1996 Broadway), Man Of La Mancha (1996-1997), South Pacific (2000), La Cage Aux Folles (2005 Broadway). Equally adept at comedy and drama he has starred in a score of television presentations. Along with his television series, Blue Light, he had his own specials: An Hour with Robert Goulet, The Robert Goulet Special, The Bob Goulet Special-Starring Robert Goulet as well as The Name Of the Game, Big Valley, Police Story, Cannon, Dream Merchants, Fantasy Island, Make My Day, In the Heat Of The Night, The Simpson’s (Radio Mercury Gold Award - Humor), Based On An Untrue Story, Burke’s Law, Get Smart, ESPN College Basketball Campaigns (Sports Emmy), Disney’s Recess, George and Leo, Just Shoot Me, Two Guys and a Girl, Nikki and My Favorite Broadway, Las Vegas, King Of Queens, Emerald Nuts 2007 Super Bowl commercial, My Music PBS. His film credits range from the animated feature film Gay Purr-ee co-starring the voice of Judy Garland to Honeymoon Hotel, I'd Rather Be Rich, I Deal In Danger, Underground, Atlantic City, Beetlejuice, Scrooged, Naked Gun 2½, Mr. Wrong, Toy Story II, Disney’s animated feature Recess,, G-Men From Hell,The Last Producer with Burt Reynolds and Everything Is Illuminated (voice). His Simpson’s episode and ESPN college basketball commercials are considered “classics” They became immensely popular and brought him an influx of new fans as did the well received Mercedes Benz TV commercial. With Wheezy’s rendition of “You’ve Got a Friend In Me” in Toy Story II he garnered an audience from the five to fifty year olds. His 2007, Super Bowl commercial for Emerald Nuts become as popular as his ESPN spots. He performed in concerts world wide, sang at the White House for three presidents and also for Queen Elizabeth in a Royal Command Performance. Mr. Goulet was very actively involved with his local community in Las Vegas as well as in many charitable causes worldwide. For many years one of his dreams was to build a Performing Arts Center in Las Vegas and bring Musical Theater, plays, ballet and opera to the city. He was pleased to see that some of the major Las Vegas hotels were at last presenting Broadway musicals. He was a spokesman for the American Cancer Society and periodically gave lectures on Cancer Awareness, Prevention and Early Detection. He had a daughter Nicolette with his first wife, Louise Longmore, and two sons Christopher and Michael with his second wife, Carol Lawrence. His daughter Nicolette passed away on April 16, 2008 after a 2 year battle with cancer and is survived by Robert’s grandchildren, Jordan and Solange. In 1982 he married Macedonian-Yugoslavian-born Vera Chochorovska Novak. Vera ran their companies ROGO & ROVE and was his business manager. They were a team in marriage as well as in business, but most importantly, they were each other’s best friends. He was diagnosed with a form of pulmonary fibrosis after having his first symptoms in September, when he was returning to his Las Vegas home after a Syracuse, N. Y concert. On September 30, 2007 he was rushed to St. Rose Hospital in Las Vegas. He was in good spirits, telling doctors before they inserted a breathing tube, "Just watch my vocal cords". On October 13 he was transferred to Cedars-Sinai Medical Center in Los Angeles and was awaiting a lung transplant. The big-voiced baritone, died from pulmonary fibrosis on October 30, 2007 at age 73. His wife of 25 years, Vera Goulet, was with him constantly during his hospitalization and held his hand until his last breath. As the world mourned his death, the Broadway theater marquees and in cities across North America were dimmed for one minute in honor of his memory on Wednesday, October 31, 2007 at exactly 8PM. On Friday, November 9, 2007 the day of his funeral, Las Vegas honored the late singer and actor in an unprecedented tribute by closing the Las Vegas Strip for his funeral procession. As he took his last ride every Las Vegas hotel-casino featured his name on their marquees. some tears, but shared memories will evoke much laughter and that will make me happy. When the dapper, well-dressed gentleman with the trademark mustache walks onstage at the Marquis Theatre, you can actually feel the wave of audience affection. That's because the actor in question, Robert Goulet, is a beloved Broadway and music veteran whose appearances on the Great White Way have become all too rare. Now playing the role of Georges, the straighter half of the gay couple in the Jerry Herman musical "La Cage Aux Folles," he infuses his performance with his trademark charm and iconic presence. Goulet well demonstrates that he still possesses a vivid leading-man presence. NEW YORK TIMES For Mr. Goulet’s Tony Award performance in “The Happy Time 1968"
“Acting distinguishes Robert Goulet in the role of Emile de Becque. Although Goulet has made his reputation as a singer, it is his acting that distinguishes him in the role of Emile de Becque. A French planter on a South Pacific island on which the Navy establishes a base during World War II, de Becque falls in love with young Navy nurse Nellie Forbush, and Goulet combines worldly experience and boyish infatuation into an appealing. Staying within his range on "This Nearly Was Mine," demonstrates that he has lost none of his ability to deliver an emotionally potent song." “Don Quixote is a ‘Dream’ role for Goulet in ‘Man of La Mancha’ Goulet takes the part of the addled Don Quixote, self-styled knight and protector of all that is virtuous and makes it completely his own. And why shouldn’t it be? Goulet is now 63, a perfect age to both play and understand the semidoddering Quixote, and yet he still has the sort of inherently regal bearing that made him the perfect Lancelot in Camelot nearly 40 years ago. What is unexpected, though, it is the way Goulet is able to play against his own stereotype, moving from nobility to near senility with grace and humor. His Quixote can stand proudly but at the same time seems chomping up and down to adjust his false teeth. And Goulet reveals the sweet delusion behind Quixote unabashedly, though he never paints in the overly broad strokes that can make musicals torturous. Robert Goulet... there ain’t nobody like him, anywhere. “As age takes its toll, many of Goulet's peers are rearranging their charts to minimize hard singing and/or padding sets with a lot of jokes and crowd banter to cover their fading vocal abilities. But Goulet can still open his mouth and let rip an "Oh nooooo" that can blow away his 18-piece backing band. “Headed by Robert Goulet who has become television’s man for all seasons. With his dark, flashy, handsome virility and that viola voice, Goulet was as captivating here as he was in ‘Brigadoon’ last year. The man can act too. The entire cast, in fact, was splendid. There was judicious use of camera closeups, some sensibly restrained dancing that captured the spirit of the story without exploding all over the screen, fine color work and ingenious setting. 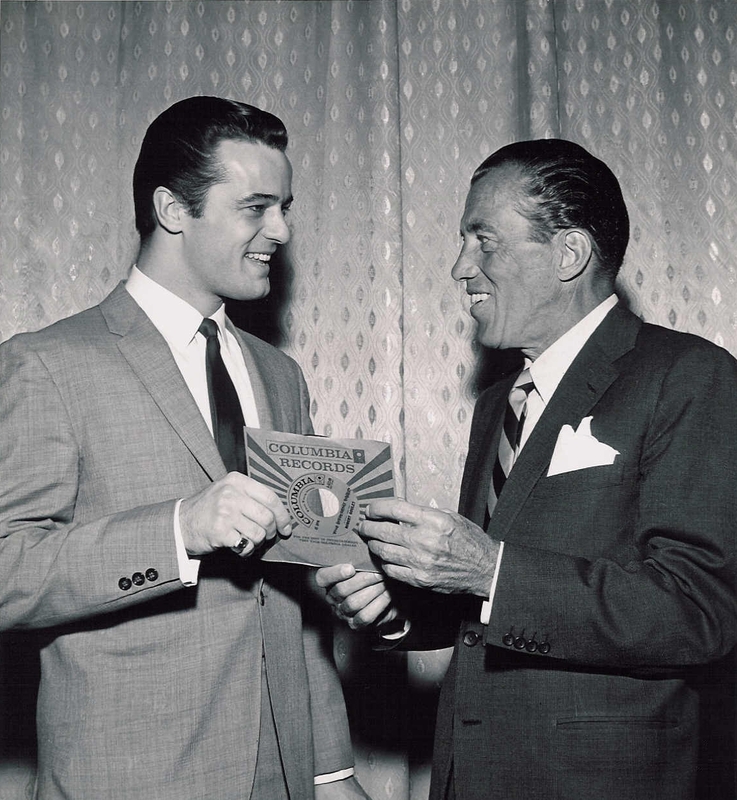 “Can Robert Goulet still sing? Yes he can. His baritone righteously resonates, and that tendency to almost recite words at the end of lines instead of sing them, that’s vintage Goulet, not Goulet’s vintage. At 63 Goulet is the right actor to play the aging gentleman who imagines he’s knight long after the era of knighthood. one of the last booming baritones of Broadway's Golden Age. Goulet's version of ''Song on the Sand,'' a lushly romantic declaration of love, is a standout. ROBERT GOULET had mastered many challenging roles in a career that spans for over six decades. But his most formidable was that of a real-life survivor of prostate cancer. Diagnosed in 1993 with the disease, Mr. Goulet played a leading role among our nation's celebrities in breaking the silence that has kept prostate health from getting the attention it deserves. In busy career as an actor and an entertainer, he made time to visit communities and lend his talents to driving home the importance of early detection and a healthy lifestyle. His goal was to encourage men 40 and older to take control of their health by getting a routine prostate screening, both digital and PSA test. He delivered inspirational lectures as a key note speaker in “A Celebration of Life," driving home the importance of early detection and a healthy lifestyle. Mr. Goulet's motto was - "Check it out." Prostate cancer accounts for one-quarter of all (non-skin cancers) diagnosed in the United States. The American Cancer Society estimates prostate cancer will claim more than 41,400 lives this year alone. An additional 317,000 men will be diagnosed with the disease. Part of the problem is general lack of knowledge about prostate health, compounded by an unwillingness to discuss what’s physically considered a very private issue. As with other diseases (such as breast cancer) early detection is the key to survival. The earlier prostate cancer is detected through routine screening (both digital and the PSA test), the more treatment options men have available to them. It's free of charge and only takes a minute or two to install. Click here to install it now .